It is arguable that a living wage should allow a person to afford the basics: a place to live, sufficient food, health care, basic transportation, access to basic utilities. 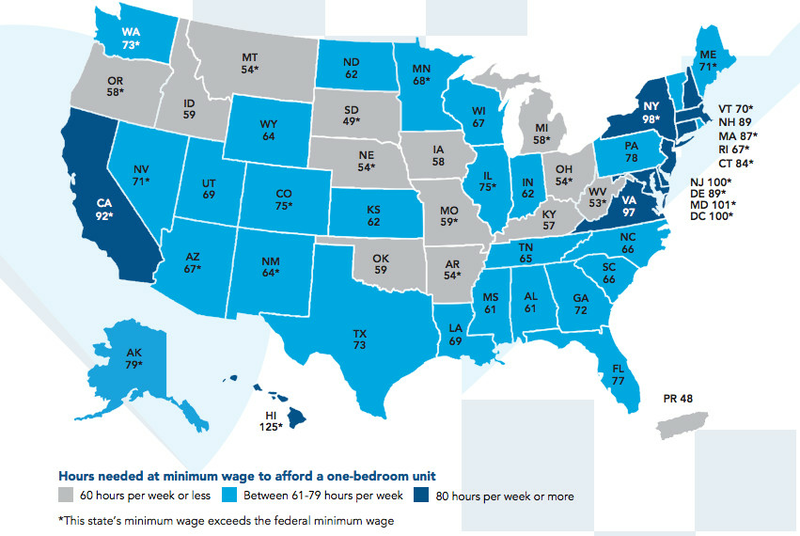 In that case, the minimum wage is not a living wage because nowhere in the United States does a minimum wage job allow a person to afford a one bedroom apartment. Minimum, therefore, is not the minimum needed for living, but the minimum the employers can legally provide – regardless of the life of the employee.